FIXER UPPER! Fix & Flip or Fix & Rent out. BIG POTENTIAL great OPPORTUNITY! LOW TAXES, NO HOA. Ready? Bring your tool belt and come restore this perfectly located house. Prime access to Ravens Stadium and Camden Yards Oriole Park and Horseshoe Casino and Downtown Baltimore . 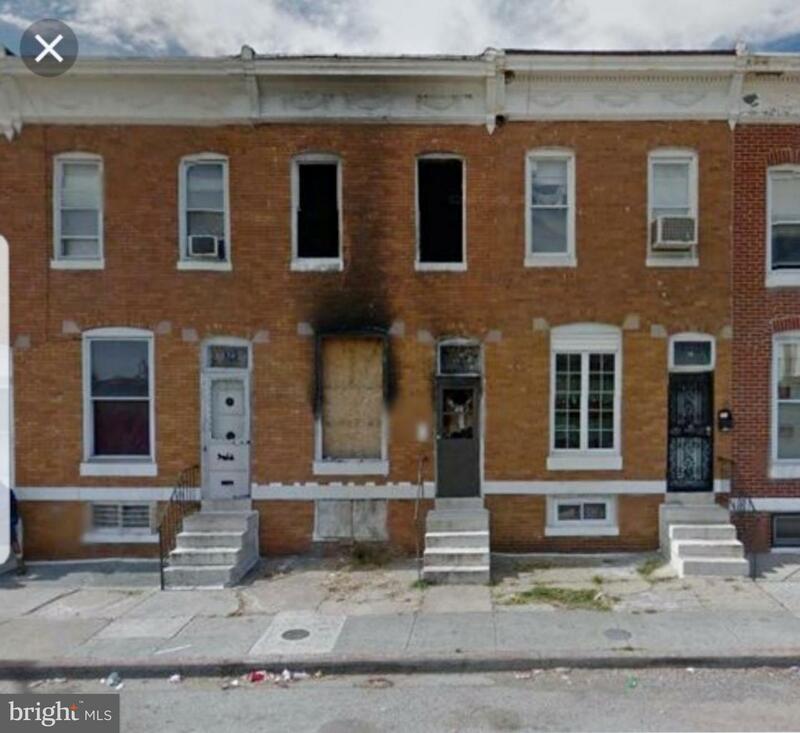 Located for very easy commute to University Of Maryland Hospital, State Center, The Inner Harbor which includes National Aquarium in Baltimore, Science Center and so much more.. You will enjoy owning a property in this area. Yes, this is a fixer upper. Needs lots of tender loving care. This house has a great floor plan. With your imagination you can create the home of your dreams..... all investors! Must see fixer upper! Bring all offers - motivated seller. AS IS handyman special. I"m not going to use euphemisms that some use occasionally to make crappy things seem better: Cozy = ~This house is small~ Charming = ~This house is old and gross!~ Quiet Area = ~This house is in the boonies!~ Unique = ~This house is weird looking~ Whether you like the theaters, or the stadiums, or even the casino.. downtown. This property is only miles away from it all. Imagine all the possibilities! If you~re someone who sees unlimited potential with every home, check out this honey of a listing! We know most home buyers like to imagine what they~re getting into when they purchase a home, but DON'T let someone else buy this one first and years later when you're driving by and see how exceptional the area has become, you're going to want to cry and boohoo... Put an offer now and make it what you think it should have been in the first place! Wait no longer. Call 4432677762 and lets talk about it.